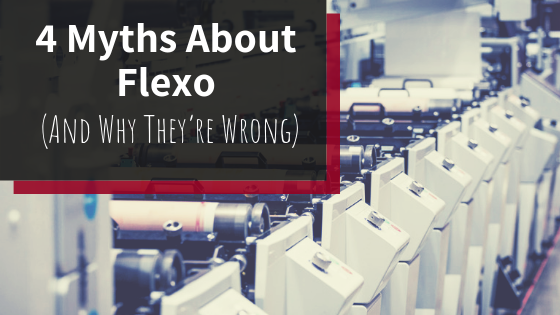 As a company that helped to establish and build the flexographic printing technology, we are aware of the claims that flexo may not have a place in the average converter’s workflow. We know it’s not true, but even as our own digital printing technology continues to gain success and accolades, it’s a conversation that can come up with customers considering new pressroom investments from time to time. 1. Flexo is going the way of the dinosaur. It’s true - digital printing has taken the industry by storm. And for good reason. But does that mean flexographic printing has entered its golden years? Not quite. 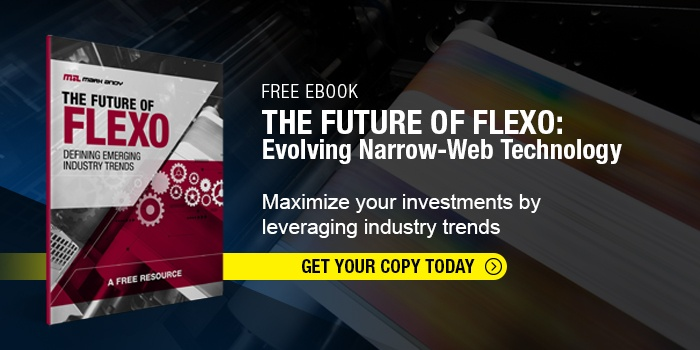 While trends like VDP and short run printing are certainly evolving to make room for digital printing, there are many longstanding trends that thrive with flexo technology, such as highly complex specialty applications, high-volume orders and increased direct food contact packaging applications capabilities to name a few. While the two are now viewed as complementary printing processes, Flexo still has important, valuable proponents - securing its spot in pressrooms for years to come. 2. New press investments should only be digital. When it comes to evaluating digital printing, it likely isn’t going to be a zero-sum game. There are far too many factors to consider before making such a wide sweeping statement. Technical background, book of business, company goals and more all determine what capital investments should be made and why. Many of those variables can and will call for flexo technology for converters across the globe. Additionally, plenty of converters will attest that their flexo business is here to stay. It’s widely known that long-runs and minimal SKUs are most profitable on flexo presses due to the press’ ability to run as long as needed with the same ink and plates. While industry trends are growing to include increased short-run jobs, there is no anticipated shortage of jobs of 5,000 ft+, which are best suited for flexo production. 3. VDP is the future. Having the ability to produce variable data on your labels is definitely an advantage of digital print technology. But how much of your book of business calls for complex VDP? Would it make sense restructure your pressroom to exclude new flexo technology for one printing attribute? 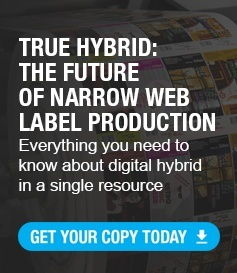 That would be the equivalent of excluding digital technology from your pressroom because flexo is most profitable for long run labels - while it’s true long runs are simply one proponent of a converter’s book of business. Alternatively, one of the major benefits of flexo equipment like the Mark Andy Performance Series E presses is the ability to expand capabilities with retrofits and upgrades as your book of business evolves. With a dedicated retrofit engineering team, Mark Andy can can work with converters to identify the best path to enhance existing equipment to ensure continued growth and success. 4. Why mess with flexo registration when digital is an option? One of the huge benefits of a truly digital machine is definitely that registration is basically instantaneous. Of course, with advancements in AI and flexo technology, registration adjustment is savable, repeatable and dependable - ultimately squashing the myth that flexo setup times are a hindrance to pressroom efficiency. For example, the Mark Andy Performance Series P9E is the most intuitive press in its class with automated registration and impression, job save, 8 servo motors per station and a centralized control system. The enhancements reduce manual adjustments and associated downtime while meeting Industry 4.0 demands. Load a file, hit print et voila. Sounds too good to be true, right? In some cases, digital printing truly is that simple. However, when comparing hybrid technology, you’ll find yourself on a more level playing field. As you consider that your book of business requires cold foil, and lamination, and in-line converting, and, and, and…that ease of use suddenly requires a little more training beyond hitting the “go” button. Flexo is a well-known technology that does require training. But you’ll find that digital and digital hybrid printing are also best suited for a well-trained staff. It’s no secret that both digital and flexo printing have a future in pressrooms worldwide. Meeting the varying needs of customers means having the appropriate equipment to achieve their desired results. Mark Andy will continue to invest in the future of our flexographic technology; not only is The Performance Series the fast-selling flexo press in its class with over 1,000 installations world-wide, it’s also the foundation of our digital hybrid solution, the Digital Series HD.